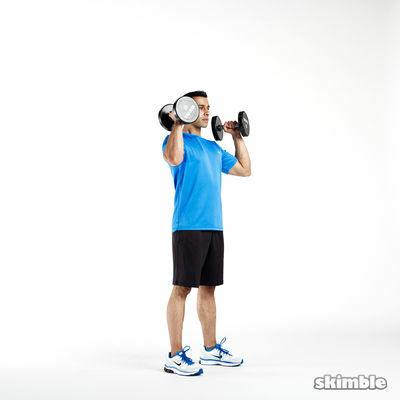 Pick the heaviest weights you can use but still maintain good form. 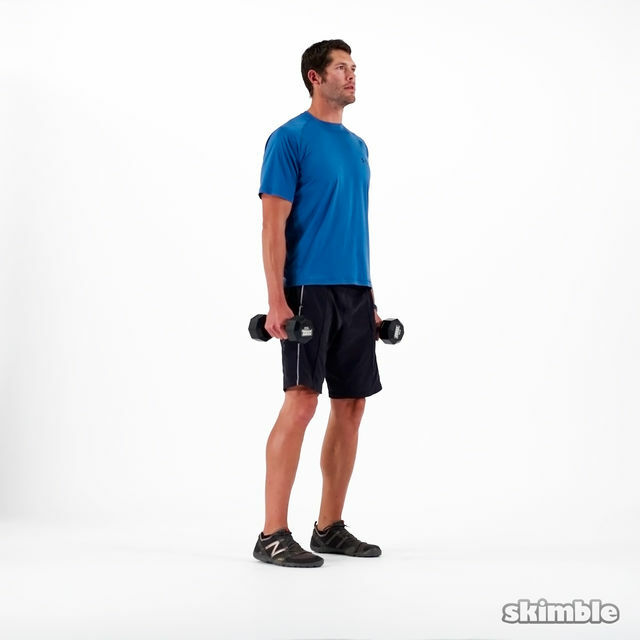 Each set you decrease the weight by 5 pounds but increase the reps by 3. For example: start with 30 lbs and 6 reps. Next would be 25 lbs and 9 reps and etc.